The official page for flagship podcast of the Jaguars Wire. 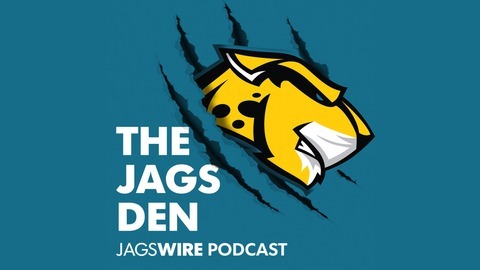 The Jags Den Podcast is the web's go-to audio source dedicated to bringing you the latest in Jags news and hot takes from the Jags Wire panel of James Johnson, Phil Smith and Jacob DeLawrence. 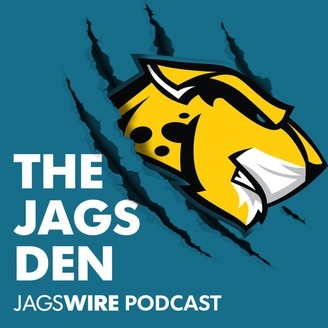 Jags Den Podcast co-hosts James Johnson and Jacob DeLawrence chopped it up with former Jags OL Leon Searcy to discuss this year's Legends Top Golf charity event that will take place on April, 28 in Jacksonville. Additionally, the duo also got some of Leon's thoughts on the state of the Jags' current offensive line, his thoughts on Nick Foles his favorite Tom Coughlin stories and more!